CoinHappy.com | Home: Best Prices on Fine Rare Coins. Over 100k Happy Customers. 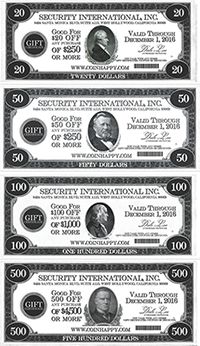 We Accept U.S. Money Orders Personal Checks, and Bank Wires. Depending on the speed of your internet connection, eCatalog may download slower. LITERALLY TONS OF EXCITING COINS THAT OTHER DEALERS BUY FROM US TIME AND TIME AGAIN. Dates our choice but some better dates included. grading Choice BU MS 63 to Gem BU 65. Mostly 105 to over 130 Years Old. Postage and insurance: $5 extra per roll, or $50 extra per bag. These better-than-average groups consist of many dimes that are well over a hundred years old. A sample of 100 coins included an 1814, 1823, 1838-O, 1873 Arrows, along with S and O-mints in the 1850s to early 1890s, early date Barber Dimes, including some grading from Fine to XF, hard-to-find 19`21 and 1949-S, several better dates in the teens and 20s, many VF toBU examples in the 30s and a few superb Gem BU 68 and 69 dimes in the 40s. 50s. & Early 60s, including a couple of PCGS and NGC certified high grades. It appears that about 90% of the entire hoard are Liberty dimes, and at least 80% of these average full Good and better. To make sure each group is a great deal, we will include at least one Seated dime for every 100 coins ordered. For example, an order of 10,000 would include at least 100 Bust dimes – almost never seen in this quantity anywhere. 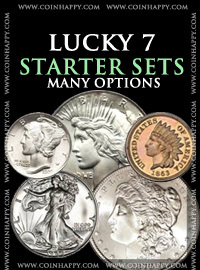 dollar in XF, 2 BU Silver dollars Higher grade Seated coins & buffalo nickels, etc. too many to go into detail. 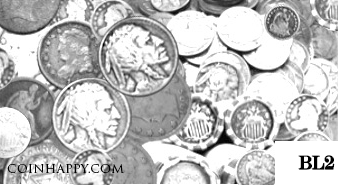 As an added guarantee, for every 200 coins ordered, we include one Gem BU Morgan dollar, 2,000 coins, get 10 different dollars, or 10,000 coins, get 50 silver dollars, etc. early 1900s as well as WW1 to post WW2-era coins. From over 150 different countriesthroughout the world. A wonderful mixture of bronze, copper, nickel and silver coins. We know you will be happy with these as dealers order from us time & time again. Just tomake sure, we guarantee to throw into every 200 coins a, a 1600s-era silver coin andevery 1,000 will include at least 10 silver-dollar size crowns, and at least one gold token!